Mini CMR Waybill is a simple and intuitive single-user program for issuing CMR documents. It saves lots of your work. You enter data only once creating files of your clients, carriers, trucks and drivers. Program saves them to the database and keeps in electronic form. There is no need of reentering data manually into every CMR document you issue. You just retrieve them from the database by searching under keywords and print complete forms in a few minutes. The software is multilingual and localized for several countries of EU. Software is now available with interface in English, French, German, Czech, Slovenian. Printouts can have headers in any language (currently: Polish, German, Russian, English, French, Hungarian, Slovenian, Czech or any combination). Printouts can also be modified to meet specific user's needs. We can change font, design, number of possible products on each copy, put company's logo and many more! 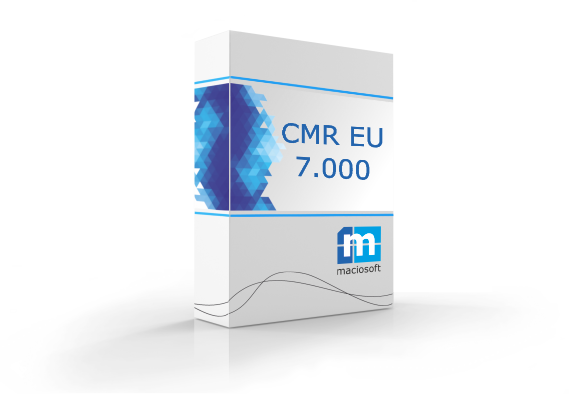 CMR EU 7.000 supports unicode! You can use any national letter charachters you need! First tab contains "ship from" and "ship to" details. You can enter data manually or clicking on an icon right to a field which is linked to an appropriate dictionary (database). Second tab (below) shows details of destination place and loading place. You can also add dates when cargo will be loaded and delivered. Third tab (below) has detailed information about products that are being shipped. You can also put information about other documents that are attached to CMR. Please note that you can mark an option "good items descritption as text" and have an option to simply describe cargo as you like. Below you can see third tab with "good items description as text" marked. Fourth tab (below) has information about carriers. Fith tab (below) contains detailed information about fees and discounts. After entering data into this last tab you can save document and print it with "Reports". Below you can see how print preview looks like. You can choose among many options here. You can print document, export it to pdf or email directly to your client. Built-in Report Generator lets you adjust printouts to your needs. Before you make any changes please save original printout template as a backup copy. Templates are stored in main programme folder Data\Reports. Thanks to the built-in automatic update module the update and the installation of the latest version is as simple as one click and it can take max. 5 minutes.